What Is A Cluneal Nerve Block? 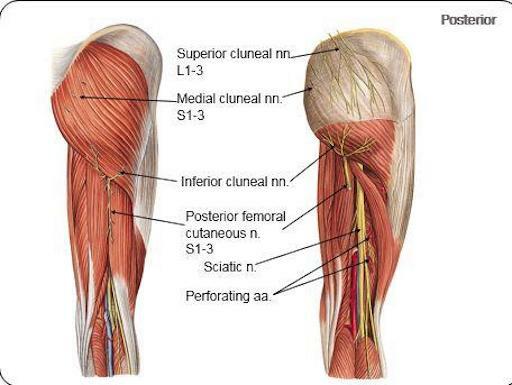 1 What Is A Cluneal Nerve Block? 4 How Is A Cluneal Nerve Block Performed? If you’re one of the millions of people in the U.S. who suffer from lower back pain, a cluneal nerve block could help. Cluneal nerve blocks are a minimally-invasive procedure. They can treat back and upper buttock pain that’s caused by cluneal nerve entrapment, damage, or inflammation. The middle cluneal nerves can be found between positions S1 and S3 in a structure called the dorsal rami. The dorsal rami is located in the lumbar back and it regulates sensory, motor, and visceral signal transmission between cluneal nerves. 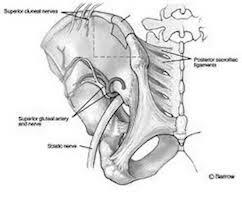 Middle cluneal nerves are also embedded in the posterior superior iliac spinal region, which refers to the buttocks. Superior cluneal nerves can be found between positions L1 and L3 along the dorsal rami. This is the upper buttock region. These nerves are at the very tail end of the lower spine and they regulate the transmission of sensory signals in this area. Lower back problems are among the main health issues that afflict people in the United States. Moreover, back problems are the leading cause for missed time from work. It affects 80% of people in U.S. at some point in their lives. Diagnostic tools that are typically used to help pinpoint the reason for a patient’s back pain include a medical history assessment, a spinal exam, or an imaging screening. However, if the results from these diagnostic techniques are inconclusive, a clinician may evaluate whether nerve damage or inflammation in the upper buttocks may be responsible for the pain. This type of nerve damage is known as cluneal neuropathy and this is a condition is often misdiagnosed. You can learn more about the science behind back pain and diagnosing it correctly in the following video. Lower back pain that extends into the upper buttock region may be the result of cluneal nerve entrapment. This condition is called medial superior cluneal nerve entrapment (MSCNE) and the symptoms it causes are quite similar to those that are reported by people who have facet syndrome. A 2016 study from the World Journal of Orthopedics also reports that middle cluneal nerve entrapment could be a cause of lower back pain that presented with leg pain. Cluneal nerve blocks offer therapeutic advantages for patients suffering from nerve entrapment. After undergoing a cluneal nerve block procedures, many patients report pain relief that is almost immediate. A recently reported study from Journal of Back and Musculoskeletal Rehabilitation described the effect of nerve block procedures that were performed to treat painful cluneal nerve entrapment. The nerve blocks were administered to 25 individuals who presented medial and superior cluneal nerve entrapment symptoms. All of the patients were treated with a single nerve block consisting of a steroid and an anesthetic. At a one-year check-up examination, each patient was asked about their level of pain and they all stated that they still experienced lower back pain relief. Furthermore, an effective cluneal nerve block provides relief, but it cal also prevent a patient from enduring unnecessary back surgery. While back surgery is necessary for some patients, it still carries the risks of invasive surgery. Therefore, cluneal nerve blocks provide a treatment option beyond conservative care, but before surgery is needed. In addition to the therapeutic benefits, cluneal nerve blocks are also highly-valuable diagnostic tools. This is because if the nerve block effectively alleviates the pain in the buttocks and lower back, it can show a doctor that the correct diagnosis was made. Since lower back pain can be caused by so many causes and conditions, having a positive diagnosis can go a long way towards actually achieving the correct treatment. How Is A Cluneal Nerve Block Performed? Preparation for the cluneal nerve block procedure involves having a patient lie facedown on a table that is equipped with X-ray machinery. The skin is then sterilized and, if an intravenous anesthetic is necessary (an IV), it is set up along with a monitor that records vital signs. This includes: heart rate, blood pressure, and breathing. Your doctor will apply topical anesthesia to the lumbar region of your spine before the procedure begins, if you have chosen not to use intravenous anesthesia. The clinician uses an X-ray to guide the injection needle into the lower back. The X-ray is called a fluoroscope and it provides an image of what is occurring in real-time. A fluoroscope-led procedure can minimize the risk of complications. Once the needle has been correctly positioned, a dye is administered so that the region it circulates to can be observed. This step ensures that the steroid and anesthetic that are to be injected will be delivered as closely as possible to the affected cluneal nerves. The cluneal nerve roots are the target of the block procedure. The steroid targets the inflamed nerves and the anesthetic relieves the persistent pain. While not a cluneal nerve block, the following video shows how a similar nerve block in the medial branch nerves is performed. As you’ll see, the procedure is minimally-invasive and performed very quickly. In many cases, the whole procedure only takes 15 minutes, or less. The best way to avoid these risks is to work closely with a doctor who is well-trained in performing this procedure. You should ask them any questions you have and ensure they perform a full work-up before the procedure is scheduled to make sure you don’t have any risk factors. And while this procedure does carry a small measure of risk, it can help you avoid risk factors or complications associated with other forms of back surgery. Cluneal nerve blocks are a specialized treatment method that can effectively reduce chronic pain in the lower back and buttocks for most patients. It is often used as a therapeutic tool. It can also be used as a diagnostic technique as it can both relieve pain while identifying the actual cause of the back pain. Cluneal nerve entrapment may cause pain in the upper buttocks, but it is often underdiagnosed. A cluneal nerve block that is successful indicates that this condition is responsible for a patient’s chronic pain. Some patients can avoid undergoing surgery if they receive a nerve block. Most report almost immediate pain relief after the procedure. If you’re ready to learn how a cluneal nerve block could help you, click the button below to find a PainDoctor.com-certified pain specialist in your area. Aota Y. Entrapment of middle cluneal nerves as an unknown cause of low back pain. World Journal of Orthopedics. 2016;7(3):167-170. Ermis M, Yildrum D, Duraknasa M, Tanam C, Ermis O. Medial superior cluneal nerve entrapment neuropathy in military personnel; diagnosis and etiologic factors. J Back Muscul Rehab. 2011;4:137-144. Herring A, Price D, Nagdev A, Simon B. Superior cluneal nerve block for treatment of buttock abcesses in the emergency department. 2009;39(1):83-85. Talu G, Suleyman O, talu U. Supeior cluneal nerve entrapment. Regional Anesthesia and Pain Medicine. 2000;25(6):648-650. Wisotzky E, Cocchiarella A. Cluneal neuropathy – An underdiagnosed cause of low back pain: A case series. PM&R. 2010;2(9):73-74.